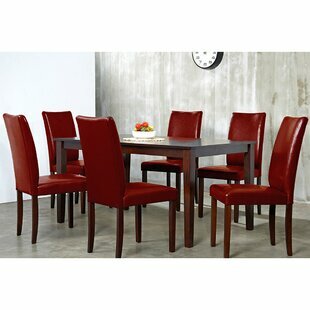 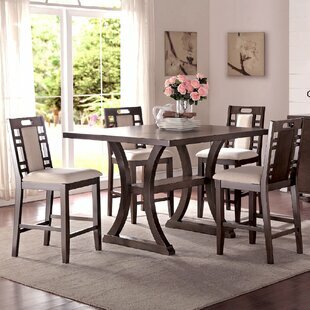 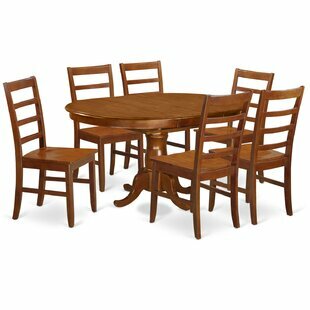 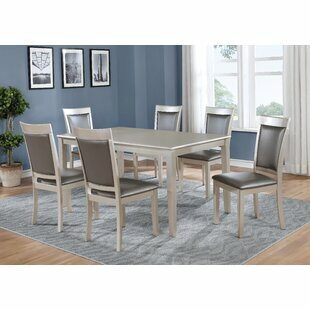 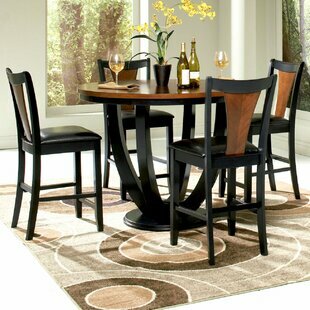 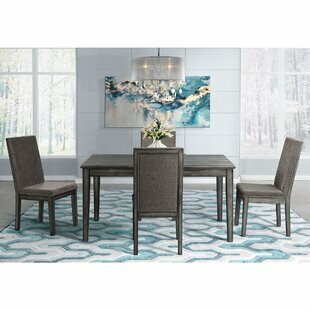 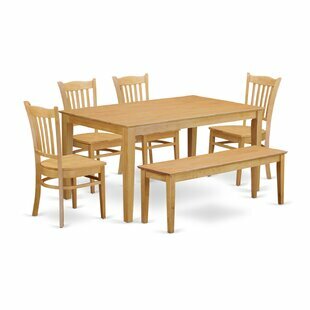 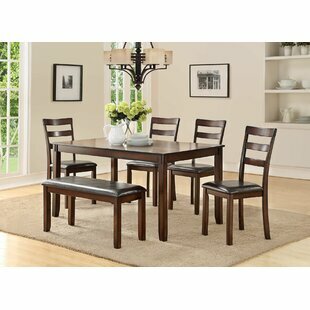 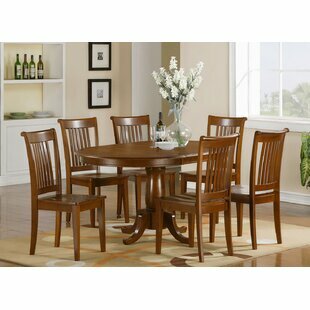 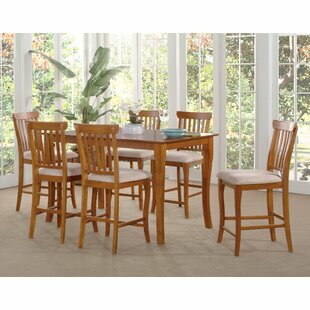 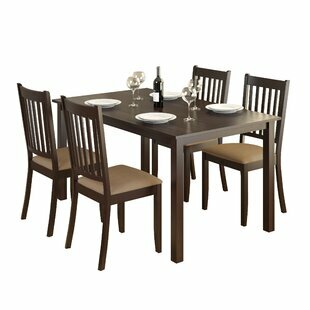 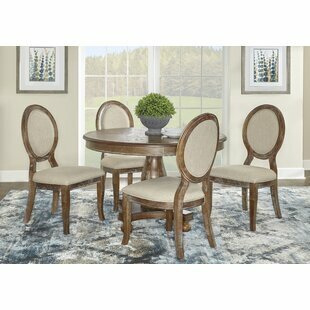 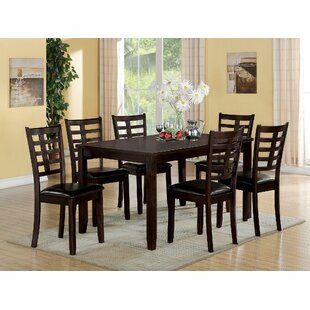 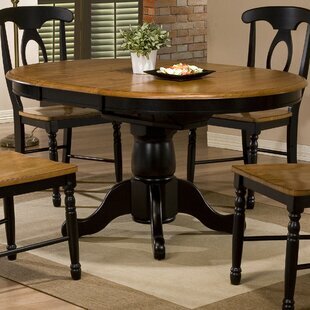 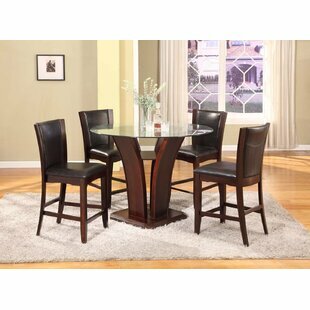 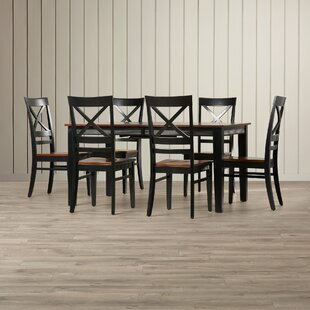 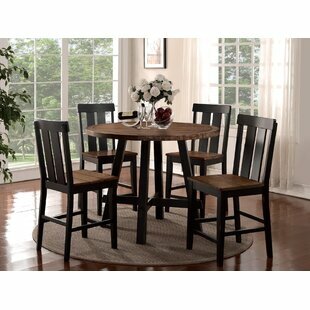 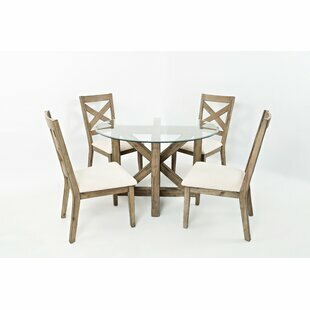 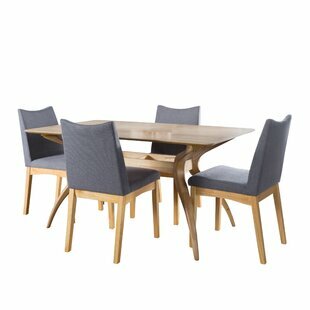 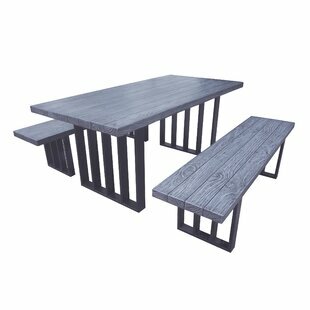 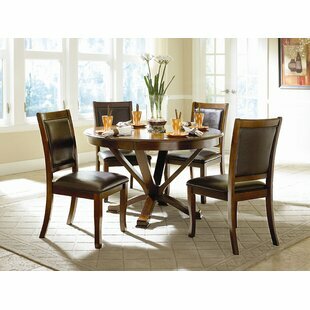 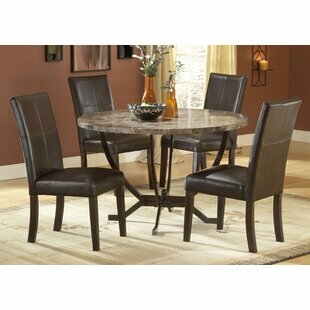 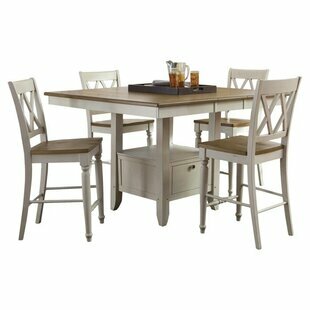 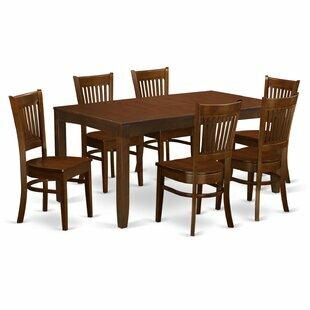 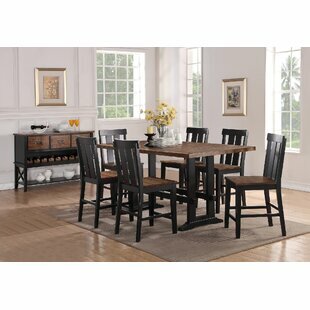 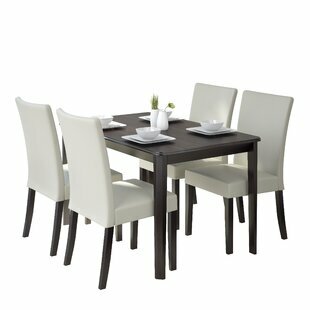 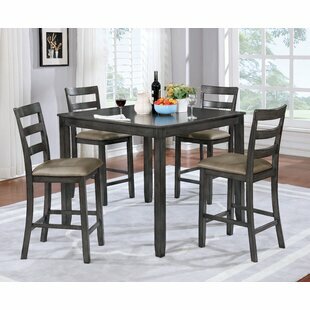 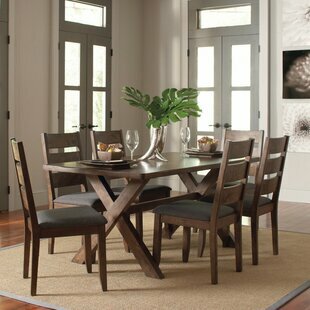 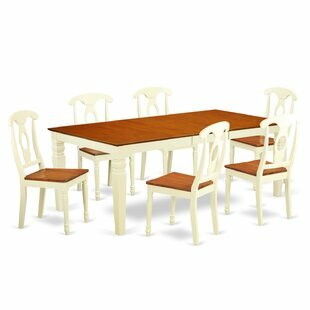 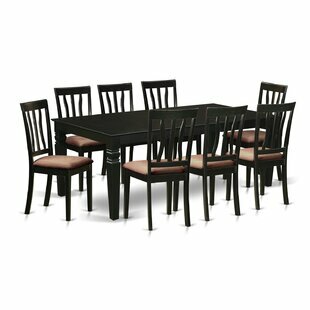 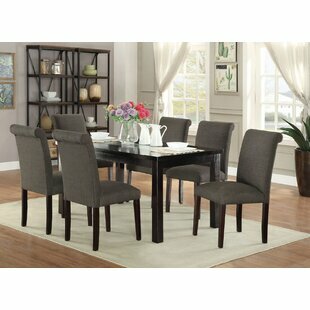 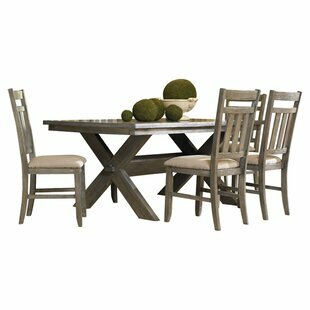 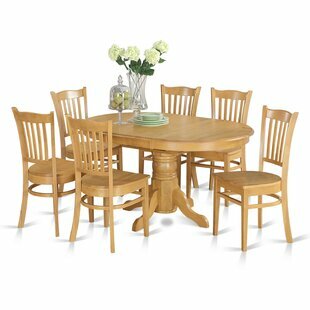 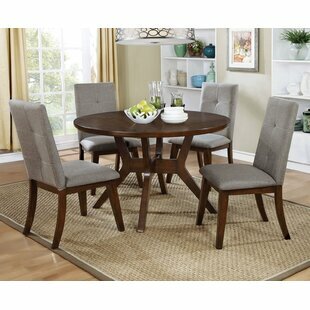 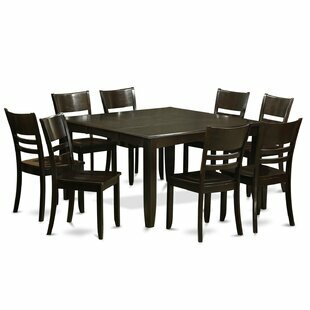 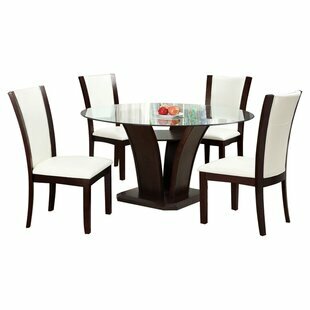 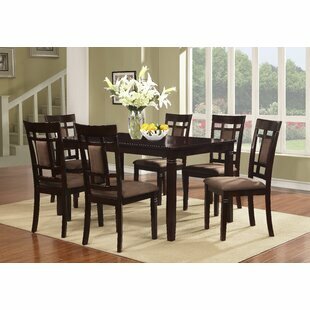 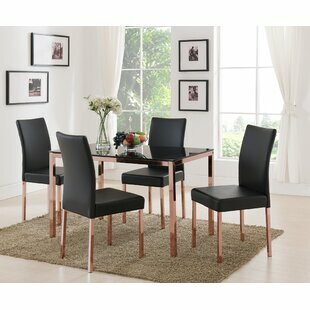 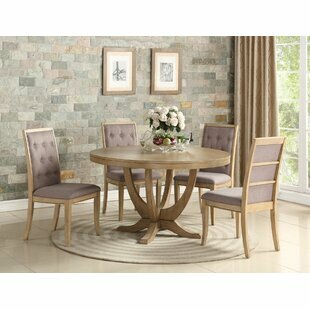 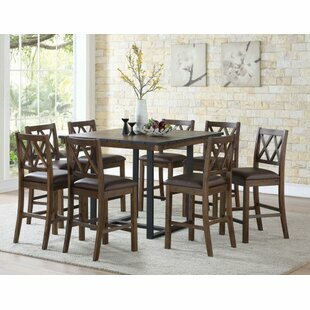 This 5 piece dining set with matching wood finishes, you cant go wrong with this dining set. 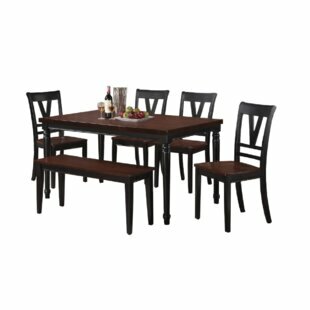 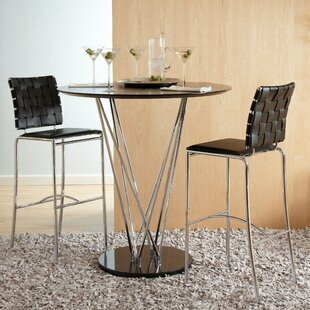 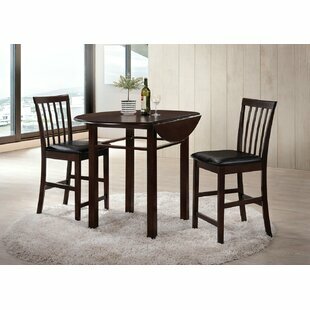 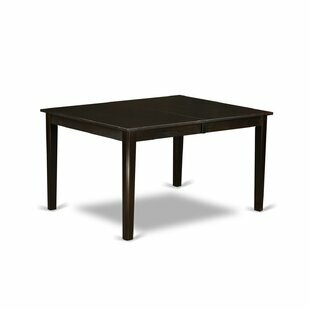 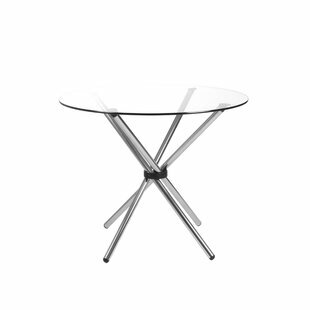 Including one table and four chairs, this set is ideal for any home. 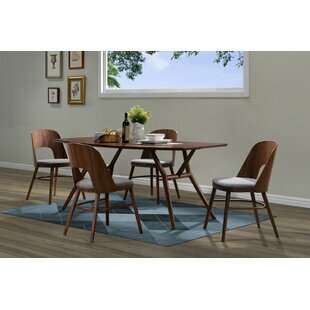 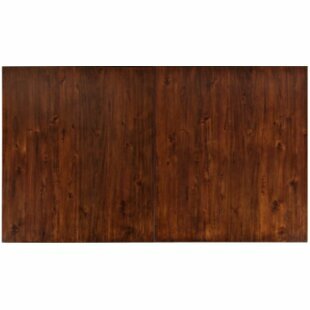 The mid-century style and smooth wood finish of this set will complement any dcor, so you dont have to worry about clashing color pallets in your home. 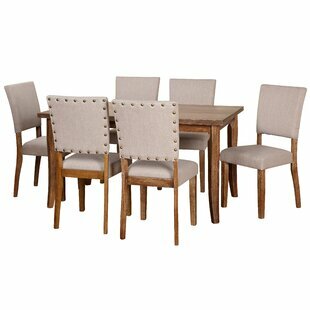 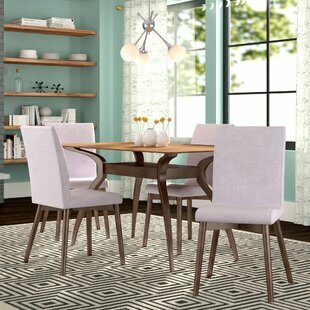 The dining chairs feature a sturdy design with soft fabric cushioned seats, providing both comfort and style for your dining pleasure. 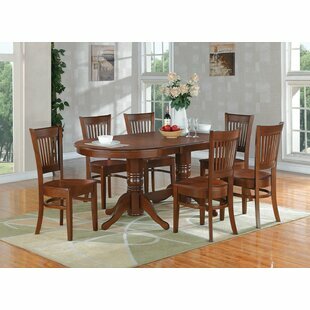 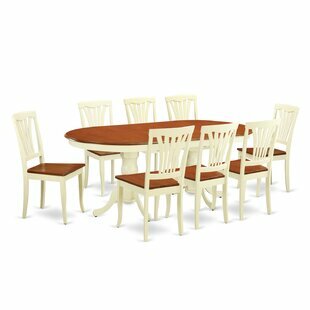 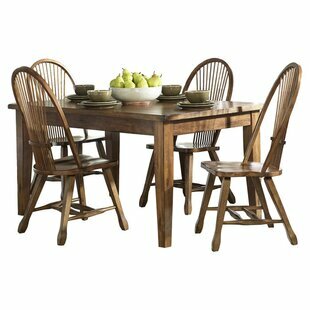 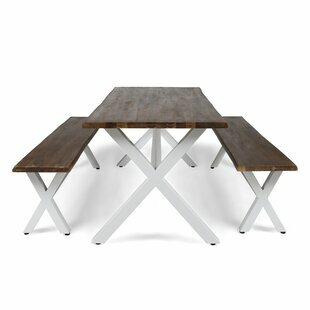 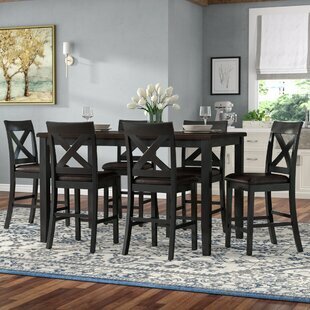 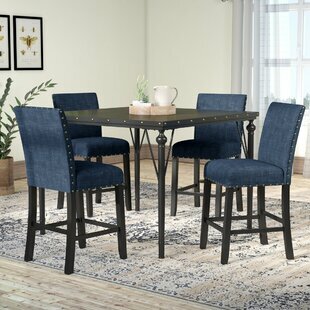 Pieces Included: 1 dining table and 4 dining chairs Table Top Material: Manufactured Wood Seating Capacity: 4 Weight Capacity: 100lb.